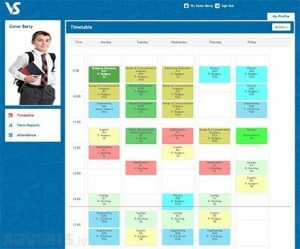 Sion Hill continues to develop a comprehensive academic tracking programme. The primary goal of this programme is to ensure that every student in our care reaches her full potential academically. Students, in consultation with teachers, set their target grades for all their subjects at the beginning of each academic year. These are reviewed throughout the year. Every student is assessed on a monthly basis. These monthly assessments include three sets of House Examinations in October, February and May. Full reports are issued after each set of house exams, with individual feedback from all teachers. Parents/Guardians have online access to all monthly assessments, house exams and target grades on VsWare. A grade is issued to parents/guardians every month in every examinable subject for every student in the school. Three sets of full house exams for the whole school are carried out in October, February and Christmas. Full report (with individual teacher feedback) issued after each set. Contains areas on academic progress, target grades and self-assessment. Reviewed by guardians and tutors regularly. Held once a year for all year groups. Feedback from ability testing given to parents. An annual award ceremony whereby medals are issued for the highest grade in each subject within each year group. Students undergo ability testing in various areas. This helps us to identify particular strengths and ensure that these strengths are encouraged and nourished. As part of our extensive academic tracking programme, students undergo ability testing at key stages in their progression through our school. The main tests currently used are summarised below. All tests are delivered in an online format and results are available to parents. These tests are used to inform teaching, thus ensuring that every student in our care reaches her full potential academically. This test is designed to support Post-Primary schools in understanding pupils’ developed abilities, likely academic potential and learning preferences. It measures the four principal areas of reasoning – verbal, non-verbal, quantitative and spatial. The New Group Reading Test (NGRT) is used in groups to assess and monitor reading and comprehension – and if necessary, phonemic awareness. This can help identify, for instance, competent readers with weak comprehension skills who would benefit from a follow-up individual assessment and learning support. Progress in Maths (PiM) tests a pupil’s mathematical skills and concepts. The group test highlights pupils’ strengths and weaknesses helping teachers to address areas of concern and build upon what pupils already know, in order to increase their understanding. EirQuest is a careers guidance programme designed for students planning to take the Irish Leaving Certificate. It is based on an interest questionnaire (online based). EirQuest analyses individual student responses and produces an Interest Profile based on over 40 broad career areas. This test provides an added means of assessment when matching a student with a career area or a more specific job. It provides an opportunity for students to experience such tests in advance of being presented with them by employers or others in future objective assessment of academic potential.